Included in the exhibition Renaissance Splendors of the Northern Italian Courts are three stunning miniatures generously lent to the Museum by a private collector. What drives a 21st-century collector to focus not on contemporary art, or photographs or paintings, but on intricately adorned pages of parchment made centuries ago and continents away? I asked this collector (who prefers to remain anonymous) what drew him to the artistic heritage of medieval and Renaissance Italy, and what he particularly loves about illuminated manuscripts, an art form that often rivals contemporary works on panel or in fresco. 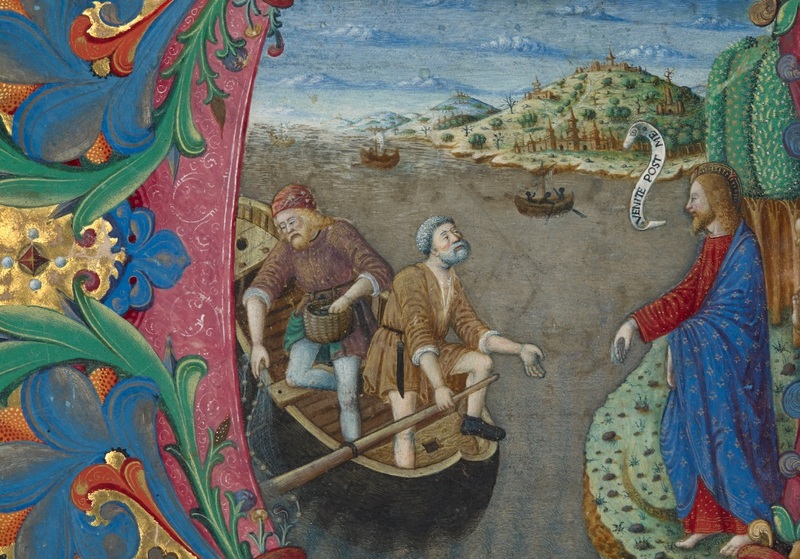 How did you get started collecting illuminated manuscripts? My wife and I purchased our first early Italian miniature in 1998 with no intention to create a collection. But little by little, one acquisition followed another. 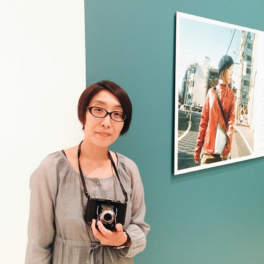 We met experts from whom we received advice and encouragement, and we enjoyed the process and satisfaction of collecting. Could you describe the scope of your collection? We own approximately 30 objects, of which roughly half are entire pages, and half cuttings from manuscripts. 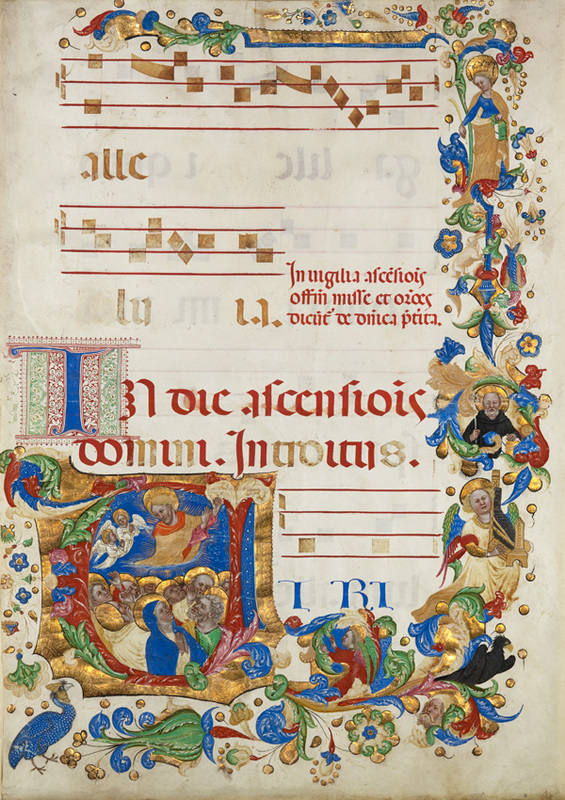 Almost all come from choir books created between the mid-1200s and the early 1500s. We own one entire choir book, which includes two large historiated initials and 19 large decorated initials. How do you decide what to acquire? Many collectors of such material are book collectors, but we think of ourselves as collectors of art that comes from books. Each piece in our collection is by a different artist, and we’ve intentionally collected works from over a dozen cities or regions, mostly from Florence and Siena but also from northern Italy. 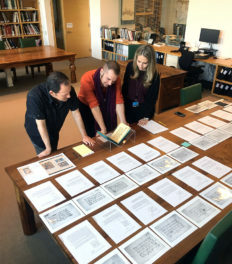 Although our collection is relatively small, we’ve attempted to assemble a comprehensive survey of early Italian illumination in terms of periods, regions, and styles. Most of this art preceded the use of canvas and oil paint, and it served a range of individuals—from the general populace to pious monks or wealthy patrons—before the advent of the printing press. Tell us about some of the artists represented in your collection. Since the works in our collection come from liturgical books, the themes portrayed are religious in nature, but many of the same artists also illustrated secular manuscripts. The early artists are often not known by name, such as the Master of the Murano Gradual, and many of them were monks working in monasteries. Later artists were often paid professionals, like Turone di Maxio, Cristoforo Cortese, and Giovanni Antonio Decio. 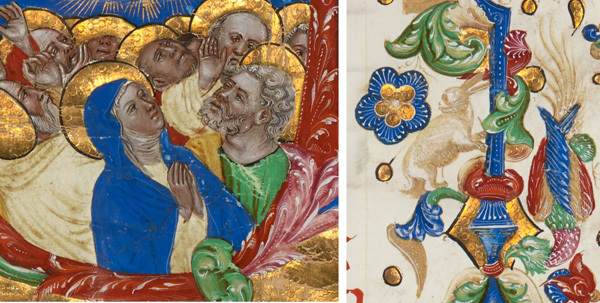 And many of the artists who created manuscript miniatures were also accomplished panel painters, including notable examples such as Fra Angelico and Lorenzo Monaco. We’d love to hear a high (or low) moment from your many years in the field. The process of acquiring a collection has been an adventure—including numerous challenges, surprises, and the occasional disappointment. Perhaps the most peculiar episode involved agreeing to acquire a page from a dealer who, a week later, told us there was concern that it had been taken surreptitiously from an Italian monastery. A year passed before we were contacted again by the dealer and told that the allegation was a mistake. We now own that page. How do you feel when you see works from your collection on a museum wall? We are happy to share these works with the public! That’s why we lent three leaves to the Getty Museum for Renaissance Splendors. 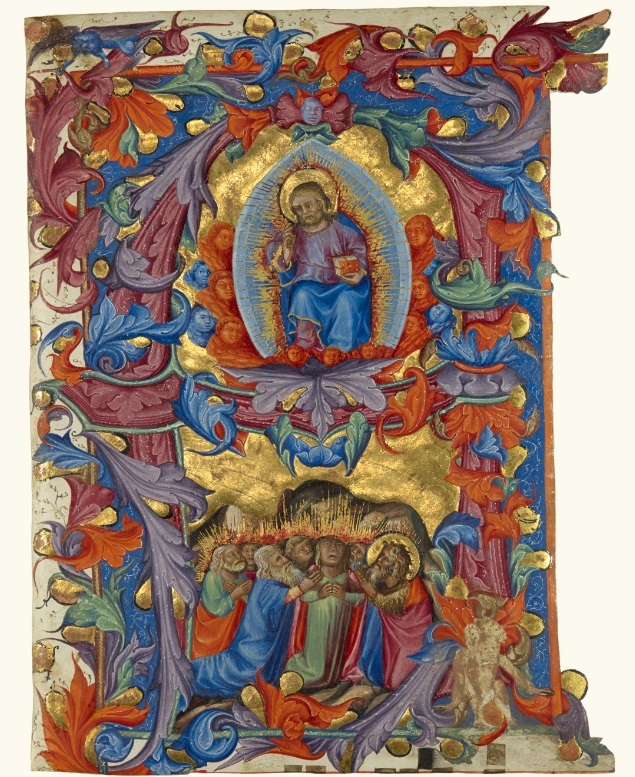 Our page illustrating The Ascension by Cristoforo Cortese was acquired only weeks before the exhibition. We invite viewers to notice in particular the sublime face of Mary, and to also enjoy the lovely drawing of a rabbit playfully hidden in the border decoration. Increasingly, museums and art historians are coming to realize the considerable contributions of illuminators to the progress of early Italian art. It gives us great pleasure when our collection can add to the growing appreciation for this art form. Learn more about all three illuminations depicted above in the Renaissance Splendors virtual exhibition.